Dr. Moonshine is a clinical psychologist with additional credentials in chemical dependency treatment. Her current position includes Director of Internship Training Program, Associate Director of Pacific Psychology Clinic, and Assistant Professor at The School of Professional Psychology at Pacific University in Portland, Oregon. She has over twenty years’ experience in public and private mental health and substance abuse treatment settings across all levels of care in the USA. 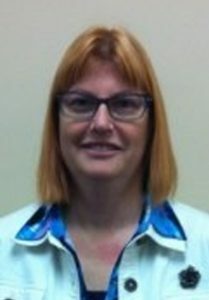 Dr. Moonshine has utilised Motivational Interviewing techniques, Stages of Change interventions, Dialectical Behaviour Therapy among other evidence based practices over the span of her career. She has extensive experience in providing treatment to adults and adolescents in outpatient and residential programs for mental health, addictions and dual diagnosis difficulties. Dr. Moonshine is considered an expert in the areas of addictions and dual diagnosis treatment. She tirelessly works to dispel the stigma of mental health, addiction and dual diagnosis, and actively supports community based recovery organisations. In addition to Dr. Moonshine’s faculty duties she runs a private consulting firm, Moonshine Consulting in Portland, Oregon. She has worked with public sector agencies, private treatment organisations and government officials to implement and sustain evidenced based practices.